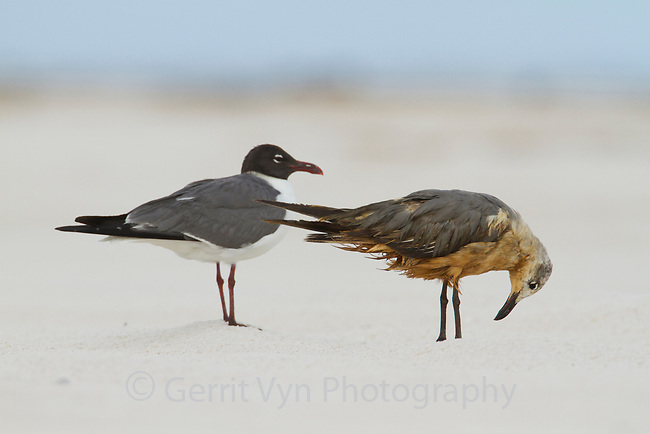 Heavily oiled immature Laughing Gull (Larus atricilla) standing next to clean adult in breeding plumage. Baldwin County, Alabama. June.